Monday Night Football this week is a match-up that may not interest NFL fans too much, but it could be a great betting option when all is said and done. This game is between a team who is probably struggling more than anyone in the NFL in the Kansas City Chiefs, and a playoff team in the Pittsburgh Steelers. 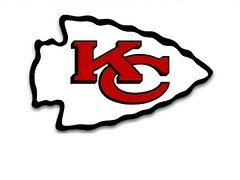 The Chiefs have STILL yet to hold a lead in a game this season during regulation, but were able to manage to get a win against the New Orleans Saints at the end of overtime. That explains their 1-7 record and how much they’ve struggled to this point. The Steelers on the other hand are 5-3, and they are simply rolling right now while winning three games straight and looking like the playoff team that everyone thought they would. Pittsburgh has even done this with their running game constantly banged up, going between Rashard Mendenhall, Isaac Redman, and Jonathan Dwyer, with it changing each week it seems. 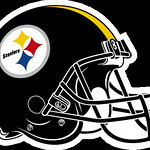 Monday night kickoff at 8:40pm EST and the game will be played in Pittsburgh. Who do you like? Start betting at our favorite bookmaker! The Chiefs struggles are pretty much all over the place. They aren’t getting the ball to their best player in Jamaal Charles, and when they do it seems that things aren’t really happening so they bail on it. The quarterback combination of Matt Cassel and Brady Quinn simply isn’t working, and even when the defense is solid, the offense can’t do anything to help them out. Overall it’s just not good right now, and the Chiefs absolutely look like the popular pick to get the first pick in the upcoming NFL Draft, which they are likely going to use to draft a quarterback more than likely. The Steelers have been setting up a nice mix of passing and running the ball, even when they are rotating running backs it seems. No matter who is back there they are doing a solid job, and that includes the original third string back in Jonathan Dwyer. Ben Roethlisberger has done an excellent job leading this team, and I fully expect him to lead them back to the playoffs this year again. The Steelers are very well coached, and are likely to take over the division lead from the Baltimore Ravens as well because of all of the injuries that the Ravens have had. Looking for great odds on this MNF game? Check out this top sportsbook! The Steelers are -11.5 favorites in this week 10 NFL game. When you look at this match-up on paper, you can probably notice right away that this has the potential to be an ugly one. Even off of paper it looks like it could be bad, and I’m not too concerned about the running back situation in Pittsburgh, but for those who are curious it looks like Dwyer will likely be a go this weekend. The Steelers should be around -11.5 favorites, but I think that they are going to just put it on the Chiefs, similar to the way that the San Diego Chargers did last week. I’m going with a 17 point win for the Steelers, but I think it may end up being a three touchdown game possibly. Our pick is Steelers -11.5!